There is nothing worse than over-charred over-cooked food from the grill. I always get a bit annoyed when people dunk their food in BBQ sauce before putting it on the grill. It’s also bothersome when they baste constantly and then the sauce ends up burning the meat because there’s too much sugar in it and it attracts flames. 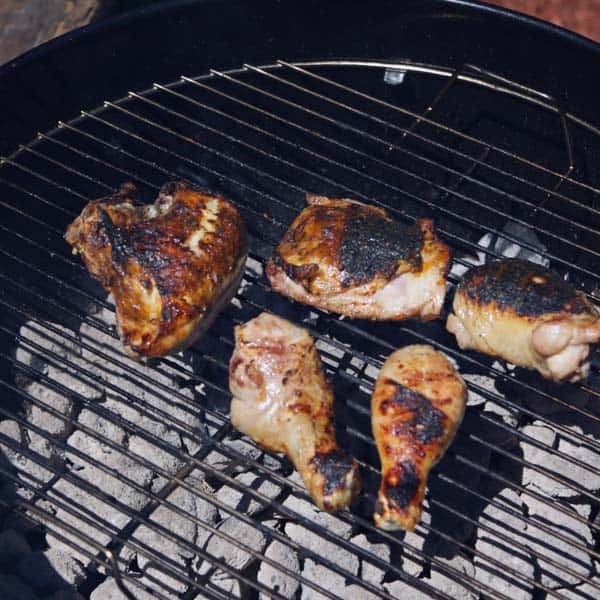 To get around this nonsense try basting after you get your grill marks, and about 5 to 7 minutes before you plan on taking your food off the grill. This easy Carolina style BBQ sauce is a quick whisk of Gulden’s spicy mustard, brown sugar, apple cider vinegar, La Choy soy sauce, a splash of Tabasco, and Kosher salt and fresh cracked pepper. Cook it, Baste it, lid it, Serve it!